The challenge this week was to take inspiration from the Beads of Courage charity - wow, what an amazing program - courage made tangible. The inception of this program is inspiring, and shows how one person can affect the lives of many. It makes me think of one of my favourite quotes "be the change you want to see in the world" (mahatma ghandi). Now, beads, SO FUN to draw. Love. I sketched out a few ideas on Tuesday night and finally managed to complete them today. 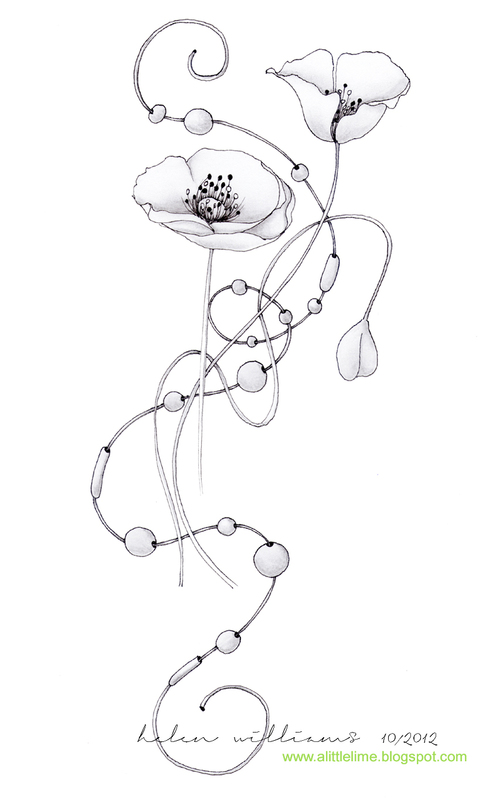 Beads: This one was the last in my series of sketches, more of an afterthought, and ended up being my equal favourite (along with the poppies!). Funny how that happens. I combined shading mediums on this one - I still don't have a replacement for my lightest grey marker (hopefully in the post tomorrow), so I shaded the beads with markers, and did the drop shadows with greylead. 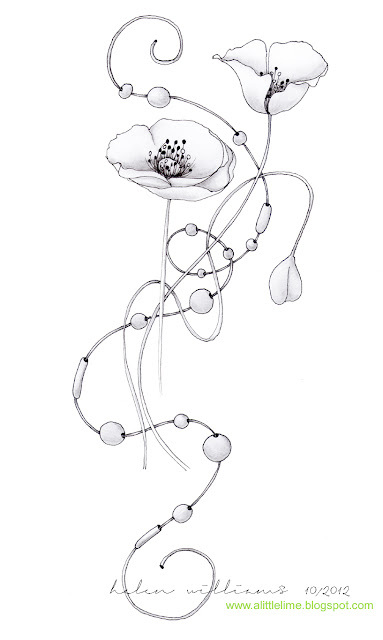 Poppies and beads! Equal favourite place. I love them, the californian poppies are just starting to bloom in my garden now and I have a few other varieties still to sow for summer. 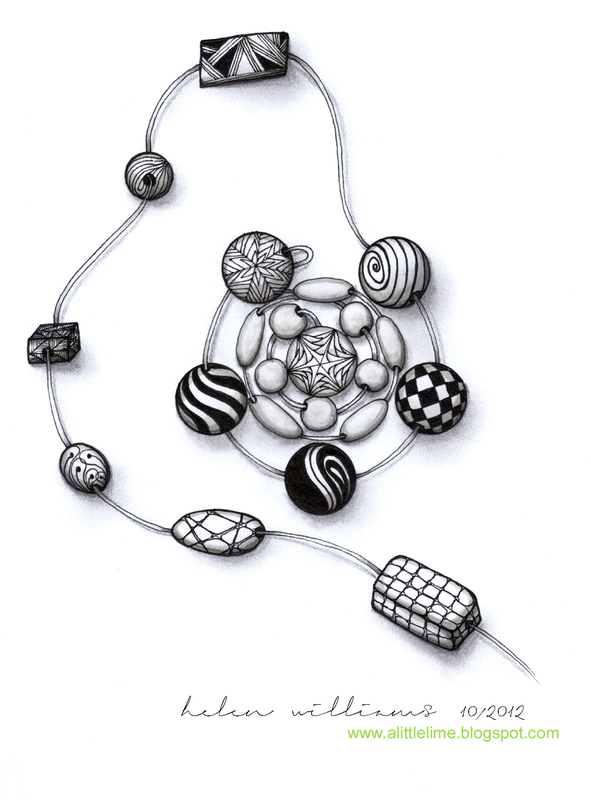 Beads and scrolls: Had to squeeze in some scrolls somewhere! Love drawing nzeppel, too. 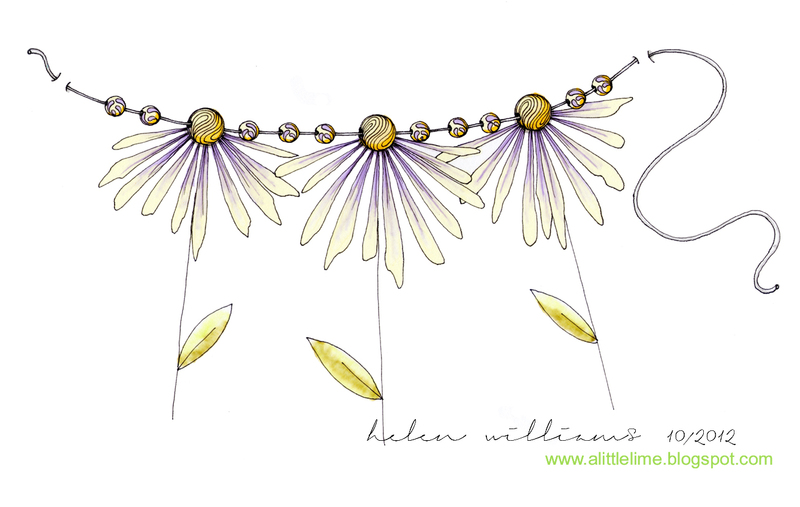 Beaded daisy chain: with the beloved cruffle. So perfect for beads. What a beautifull bracelet, and the shadow is so well done! Yes! I enjoy to look at the beads! You have a very big imagination !!! Utterly exquisite - as always! WOW!! All are beautiful, your work is superb! I love them all, they give my a very relax feeling. Wow from me too! Absolutely beautiful and oh so original. 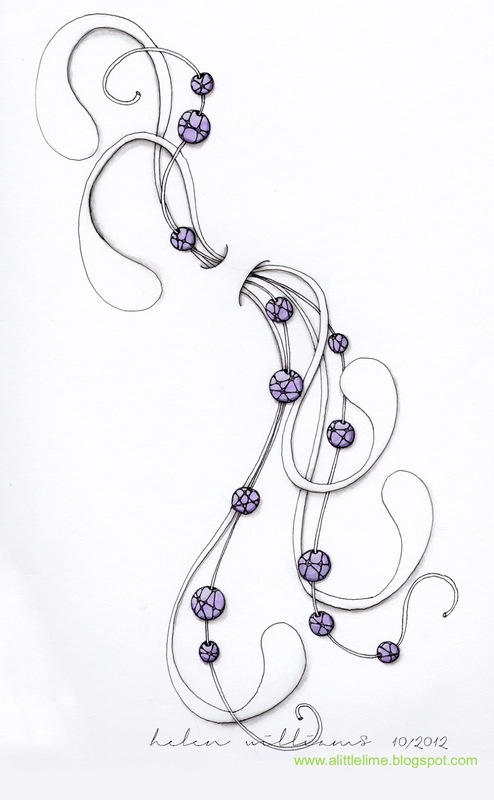 Your work leaves me feeling that you have a very delicate touch - even the first one that has much bolder lines. Can't choose a fav because I love them all! As always these are gorgeous, my favourite is the daisy. I love the way you have incorporated the beads into the flowers. You truly are the master of beautiful things! There is a graceful flow to everything you do and it is done with light and joy! I just marvel at how you zentangle! Wow Helen, these are all so beautiful. Awesome! I really love your delicate style and creativity! Always such amazing results and a treat to come and see! Really great. Love how you are able to create the dimension with your drawing. i think my favorite is the one purple beads and the nzeppel - really elegant! Always a special treat to see your interpretation of the challenges - these are fantastic - just want to linger awhile to keep looking at them. Helen, all exquisitely beautiful!! wow!! speechless! Thanks, Dawn :) I am going to attempt to figure out what's going on with the video camera! So amazingly beautiful!! Thank you for sharing your wonderful talent! !